Who is Eligible for Cancer Survivor Life Insurance? How Much Does Cancer Survivor Insurance Cost? What's the Risk of My Policy Being Invalidated Because of Missing Details? There are, at present, roughly 2 million people in the UK who are either living with cancer or who have survived it and this number is expected to grow by 3% year on year for the foreseeable future. (Source: http://www.ncsi.org.uk/) The majority of these two million people will have experienced what it is like to suddenly not be able to work and all of the financial difficulties that that entails for their family. Moreover, unlike many of the rest of us, cancer sufferers often have a strong sense of their own mortality and are keen to take steps to make sure their loved ones are provided for in the event that they were to pass away unexpectedly. "..It's no wonder, then, that research has shown that cancer survivors are more likely than many other demographics to want to seek out life insurance.."
It's no wonder, then, that research has shown that cancer survivors are more likely than many other demographics to want to seek out life insurance. It makes perfect sense that someone who has experienced a little of what it might be like to be unexpectedly taken ill would seek to make plans for that eventuality. The cruel irony, however, is that for a long time it was difficult for cancer survivors to obtain life insurance at any but the most punitive rates; those who were more intent than anyone to take out life insurance policies were either being denied or forced to pay premiums that were up to six times larger than the standard rate. Thankfully, much has changed in the last decade and cancer survivors are no longer charged the highest rates across the board. As the percentage of people who survive certain cancers has increased the corresponding insurance premiums have gone down and many cancer survivors are now insured for rates that are comparable to those of people who have never been diagnosed with the disease. 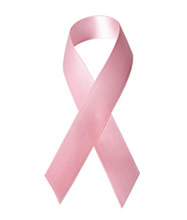 Breast cancer is a good example of a cancer with a high survival rate and whose survivors may receive a standard rate on occasion, after a few years of their cancer being in remission. This is not the case for all cancers, however, and there are still many who will not be able to obtain coverage. Fuller details of who is and is not likely to be eligible can be found below although the basic rule of thumb is that the earlier your cancer was caught the more likely you are to be able to find an insurance policy once your illness has passed. Most people will, however, need to wait a certain period of time before being approved and this could be anything from a few months to a few years. If you are wondering whether or not you are eligible and how much it will cost, read on for more information. The first point to bear in mind is that it is beyond the scope of this article to talk about insurance for those who currently have cancer as opposed to cancer survivors. Cancer survivors are defined as those who are either in remission or who have been cured. Cancer sufferers can, occasionally, obtain life insurance but it is a far rarer occurrence than for cancer survivors. Generally, insurers will only begin to consider you once you have gone three months since your last cancer treatment although some providers will want to wait a number of years. "..Smokers are another group of cancer survivors who often find it tough to get coverage.."
Other common eligibility requirements include that you are not otherwise in ill-health and that you are aged between 21 and 90 years old. If you have other underlying conditions or risk factors then you dramatically reduce the chances that an insurer will cover you. In particular, if your cancer was associated with a heart or kidney disease you are generally considered a high risk. Smokers are another group of cancer survivors who often find it tough to get coverage as it is possible to conjecture that their cancer was caused by a habit that they continue to maintain. We have covered in other articles the impact that smoking has upon insurance premiums but for cancer survivors it can mean that coverage is denied altogether. The same goes for alcoholics or those whose doctors have formally asked them to reduce their alcohol consumption. If they continue to drink they can expect to face high premiums at the very least. The good news, however, is that cancer sufferers who have had cancers that have high survival rates and which are unlikely to metastasise are increasingly being looked on more favourably by insurers. Survivors of breast cancer, prostate cancer and testicular cancer, as mentioned below, are often treated no differently than anyone else in terms of whether or not they are granted insurance. In summary, then, you are more likely to be able to receive coverage if you have had Stage I cancer that has not metastasised and has not been combined with other cancers or illnesses. In particular, survivors of the handful of cancers that have the highest survival rates may no longer need to pay especially high premiums. With the majority of cancers, however, you will have to wait a certain period of time after your final treatment before being eligible and this may be up to 5 years. Insurers may also expect you to take a medical exam and to receive a copy of your medical records. If you are unwilling to take a medical exam you may well find that you struggle to find an insurance provider who is unwilling to cover you and those who are may charge you more than they would otherwise. Being willing to get a medical check therefore increases your eligibility and is well worth doing if you are asked to. The main thing impacting on the cost of insurance for cancer survivors is the stage that their cancer was at before they went for treatment as well as the specific type of cancer. Different cancers imply different levels of long-term risk and so it's not just a matter of whether or not your cancer is diagnosed early. This information is generally obtained directly from your medical records so there is no way of anyone making any fraudulent applications. Whereas in the past all cancer survivors were treated equally and lumped in with those who have persistent illnesses resulting in exorbitant premiums, certain cancers are now assessed differently. "..almost any cancer sufferer whose tumour was caught at Stage I will now be eligible for some form of insurance.."
In particular, those who have suffered from prostate cancer, localized testicular cancer and Stage I breast cancer are now far more likely to get a standard rate from their insurer than before. Moreover, almost any cancer sufferer whose tumour was caught at Stage I will now be eligible for some form of insurance. This is because cancer rates for certain cancers (especially breast cancer), as well as on the whole have been falling for a long time now. (http://www.guardian.co.uk/world/2011/nov/22/increase-survival-rates-cancer-types) The latest ten year survival rates for breast cancer, for instance, are 77% (http://www.cancerresearchuk.org/cancer-info/cancerstats/types/breast/survival/breast-cancer-survival-statistics) meaning there's no longer any reason to treat sufferers as though their long term health prospects are much worse than average. Other data, such as the table below shows the way in which insurers have reassessed the way they treat prostate cancer in recent years as a result of new scientific evidence. Currently, however, the number of cancers which receive the standard rate is small compared to the number of potential cancers that there are. Fortunately, these cancers are amongst the most common and will affect a high percentage of sufferers. Moreover, the long-term survival rates for all cancers in general are continuing to improve and as they do so the insurance situation for those who have survived improves concomitantly. For those who are not offered the standard rate at first, it is often the case that as time goes by and the risk of your cancer resurfacing diminishes the cost of your premiums may slowly diminish. As such, it is important not to be put off by high initial premiums until you have asked whether or not there is a possibility of them shrinking over time. Getting the lowest possible life insurance premiums when you're a cancer survivor can be a tricky business, relying at is does on a wide range of different factors. There are, however, a few basic rules of thumb that everyone can bear in mind when applying to help improve their chances. For a start, one thing that many cancer survivors get wrong when applying for life insurance is to apply for a large number of insurance policies at once. The problem with this is obvious to anyone who has worked in the insurance industry – insurers are legally allowed to check whether or not you have been turned down by other providers and many even ask this on their application forms. "..there are many insurance brokers who specialise in obtaining insurance policies for people who have cancer.."
Furthermore, most insurers will also be re-insured by a re-insurer who will have a say on whether certain applications are approved or not. If that re-insurer covers several different insurers to which you have all applied at once then they may see all of your applications turn up together, giving off more than a hint of desperation. Now, don't get me wrong, it's still crucial that you shop around but the best way to do this is to phone up a number of insurers and make informal enquiries rather than completing applications right off the bat. You might like to ask questions like: Do you typically insure people who have survived my form of cancer? How long do you normally wait after remission before allowing a survivor to take out a policy? Your goal is to find out whether or not you are likely to be accepted before applying as well as to get as good a picture of the potential cost as possible. If you don't want to do this work yourself then it is often possible to get a financial advisor or insurance broker to do it for you. In fact, there are many insurance brokers who specialise in obtaining insurance policies for people who have cancer. These brokers generally take a fee from the insurance provider rather than from you making it free of charge for you to use their services to your advantage. They will generally be able to find a company that is likely to cover you far more easily than you could do so yourself. Whether you're applying through a broker or on your own, however, it is crucial to make sure that you gather all of your medical records together before looking for quotes. The more information you give your provider the better your quote is likely to be. Giving a complete picture of your condition can help prevent an insurer from assuming the worst and charging you for it. Furthermore, if you have missed follow-up appointments with your doctor then make sure to re-arrange them. When these occur and the doctor confirms that there has been no re-growth, insurers tend to be more assured than otherwise. Of course, many of the same rules that apply to getting good insurance premiums for others apply to cancer sufferers. It has been popular of late, for instance, to promote insurance products that do not require medical checks to cancer survivors. However, for many people, taking a medical check may help lower the cost of their premiums if they can demonstrate again that they have fully recovered and that they are healthy in all other respects. Consequently, many people are now worried that a failure to provide seemingly insignificant details can invalidate an insurance policy altogether at the last minute. As ever, the news media has taken an unusual case and given it a large amount of publicity making it seem as though this sort of thing is routine in the industry. On the whole, although the story underscored the importance of providing a full and honest account of your health, it would seem that this situation is unusual. "..if you are tempted to lie you should bear in mind that this entirely defeats the purpose of taking out insurance.."
In 2013, however, new legislation is expected to come into force within the UK to make sure that insurers must ask direct questions about any matter that could cause them to refuse to honour a policy. This should mean in principle that there is no longer any risk of anyone's policy being invalidated because of missing details. It remains essential, however, that no-one attempts to downplay or lie about elements of their illness so that people can be sure that they are properly covered. This includes, for instance, the issue of whether you have or haven't given up smoking. This is probably the most common lie that people tell to insurers – that they have given up smoking when they haven't. Insurers are increasingly taking this form of fraud more seriously, however, and many are now carrying out randomised testing on hair and saliva whilst also developing more advanced detection methods. The overall point, then, is that if you are tempted to lie you should bear in mind that this entirely defeats the purpose of taking out insurance. You take out life insurance in order to be certain that your loved ones will be provided for in the event that you pass away. Doing anything that jeopardises this, such as providing false or misleading information, means that you no longer have that certainty and are effectively wasting the money you spend on premiums. It's important therefore to be honest about your lifestyle and the conditions you have had when you sign up for a life insurance policy.